1958. Later gelatin silver print. 52,5 x 36,5 cm (60,5 x 50,5 cm). Signed and titled in pencil, lower right. 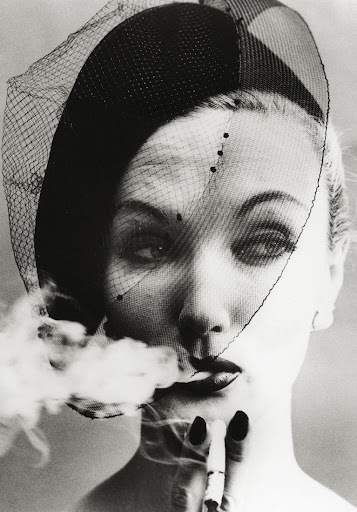 From 1955 to 1965 William Klein worked for vogue. He preferred to photograph his models out in the street or on location. He was not particularly interested in clothes or fashion, and used this opportunity to reasearch the picture making process by introducing new techniques to fashion photography, including the use of wide-angle and long-focus lenses, long exposures combined with flash and multiple exposures making fashion an area of innovation in photography.